Students are introduced to research and researchers, by encouraging the achievement of excellence in all their undertakings and by helping to develop their communication and interpersonal skills. It also fosters discussion of and interest in major national and global issues and emphasises the importance of maintaining continuing active interest in sport, arts and music. More information is available. Interested Young people who live or go to school in the City of Melville are invited to contact the Club’s Youth Director for more information. 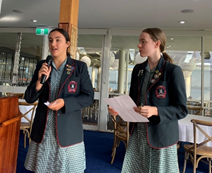 Stephanie Tory and Madeline Haines, year 12 students, from Santa Maria College were sponsored by Applecross Rotary to participate in the in the two-week, National Science Forum in January 2019 at the Australian National University in Canberra. This experience has helped them decide oc future career paths. 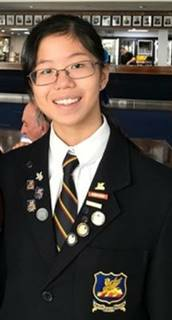 Su-En Hia from the Perth Modern School was sponsored from Applecross Rotary to the National Youth Science Forum in Brisbane in January 2018. Su-En chose Chemistry as her area of special interest, and her group of budding chemists became the Curie group. There were lectures, laboratory classes, and visits to the University of Queensland School of Pharmacy and to one of the largest MRI centres in Australia. Su-En was impressed about the willingness of some major names in Australian Science to give their time to presenting Keynote Addresses and participating in videoconferences from around the world.